If you are like millions of people in Jozi struggling with debt, it helps to have NCR registered counsellors on your side. Whether you’ve got multiple loans or can’t keep up with bond payments, you can be free from debt, financial stress and persistent creditors. How Can NCR Registered Counsellors Help? Are your creditors calling you non-stop to remind you of outstanding amounts? Scared of answering private numbers? NCR registered counsellors can help you deal with your creditors once and for all. As soon as you reach out to counsellors and placed under debt review, creditors are obligated to stand down. This means no more daily phones calls from attorneys and constant threats of legal action. Many South Africans lose their homes, cars and other valuable assets to debt every day. This does not have to be the case. You can take advantage of NCR registered counsellors to protect your possessions from being repossessed. 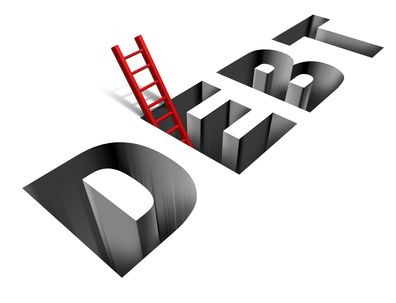 In order to protect your assets, all you have to do is contact counsellors and submit an application for debt review. From the moment your application is received, creditors will have no legal right to attach any of your prized possessions. In South Africa, failing to pay your debts is an offence with serious consequences. In addition to possible legal action, you might end up blacklisted. Being blacklisted makes it incredibly difficult to purchase or rent a home, car and just about anything sold on credit. Fortunately, the law states that you cannot be blacklisted if you are being reviewed by approved counsellors. Not only will you avoid being written off by creditors in future, you will also have an opportunity to save your credit profile from being tarnished. One of the reasons why many people default on payments is because there is just not enough income to settle debts and living expenses. Your income might have changed because of job loss, changes in your career or responsibilities, or mismanagement of funds. Regardless of the reason, NCR registered counsellors can speak to creditors and agree on a monthly installment you can afford. What’s more, instead of making multiple payments to different creditors, all your installments are combined into one, easy payment. NCR registered counsellors are trained to provide professional financial advice. You can learn how to manage your funds in your present situation and in the future too. Good financial management not only frees you from debt, but also prevent you from making the same mistakes. Financial education can help you distribute your income to settle debt and still have extra cash in your pocket each month. It also teaches useful financial principles such as budgeting, saving and investing. Find out more from Debt Guides.